Energy use in buildings—our homes, businesses and public institutions—is responsible for around 25 percent of emissions contributing to global warming. Without action, greenhouse gas (GHG) emissions from buildings are expected to double or even triple by 2050. Yet despite buildings’ clear and significant ties to global warming, the international community has often ignored this topic. The recently adopted Sustainable Development Goals and the upcoming Paris climate talks show that that’s beginning to change. The new Sustainable Development Goals (SDGs) recognize the cross-cutting importance of buildings and cities in achieving global objectives related to sustainable energy and infrastructure. Better buildings can also make significant contributions to addressing climate change, one of the other SDGs, a point that is further acknowledged in the more than 45 new national climate plans that include building efficiency components. At the COP 21 climate talks, the French government—working with the United Nations and dozens of leading government, business and non-profit signatories—will host the first-ever “Buildings Day” on December 3rd. High on the agenda is the launch of a new Global Alliance for Buildings and Construction, an initiative designed to spur widespread adoption of today’s best policies and most efficient building materials, designs and technologies around the world. The Alliance aims to avoid at least 50 percent of projected growth in energy consumption through highly energy-efficient new buildings, and achieve deep renovations of existing buildings by 2030. If implemented, these measures would prevent nearly 3 gigatons of CO2 emissions by 2050. To put this in perspective, this would be the equivalent of taking 630 million cars off the road for a year. At Buildings Day, and also at “Energy Day” on December 7th, ministers, mayors and business leaders will share the policies and actions they have taken in support of a cleaner and healthier low-carbon buildings sector. And they’ll commit to do more. WRI is proud to be supporting this effort as an executing partner of the Global Alliance for Buildings and Construction. 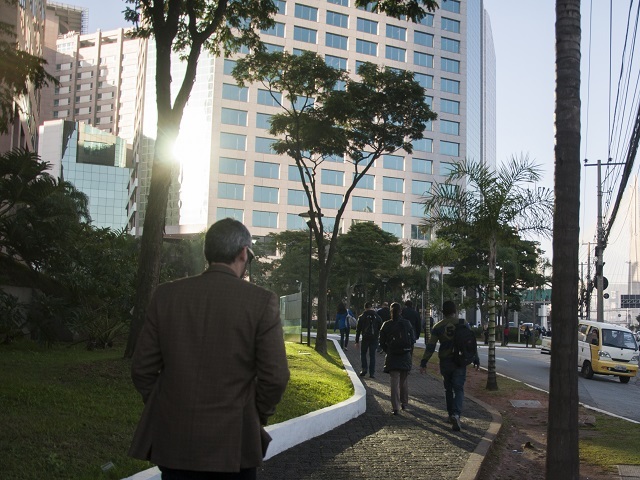 As the coordinating partner of the Sustainable Energy for All Building Efficiency Accelerator, we work directly with subnational governments to help them implement policies and projects to both improve buildings and save energy in their communities. Over the next two years, the Building Efficiency Accelerator will assist 30 subnational governments to improve the efficiency of their buildings. As Buildings Day will make clear, the buildings sector can deliver results on both global climate and sustainable development goals. Furthermore, with the construction industry responsible for more than 15 percent of global GDP, improving buildings is also sound economic policy: It can benefit livelihoods, create new jobs in clean technologies, and increase local infrastructure investment. Efficiency can not only lower energy costs by up to $2.8 trillion globally by 2030, but also helps spread existing energy supplies to serve more people. The Global Alliance for Buildings and Construction and an annual forum like Buildings Day can play major roles in helping the industry and policymakers spur action and track progress against the new buildings-specific goal—which has been long needed and is a welcome addition to the climate dialogue. COP 21 will shine a much-needed spotlight on the potential of this sector and share how to deliver low-carbon solutions, but it’s important that this moment is only the beginning. Additional countries, cities and businesses need to implement building efficiency strategies as elements of their climate action plans. Truly overcoming the climate change challenge will require significant effort across sectors—buildings included.